During last Sunday’s Academy Awards broadcast, screenwriter Graham Moore delivered this moving acceptance speech upon winning the Best Adapted Screenplay Oscar for The Imitation Game. 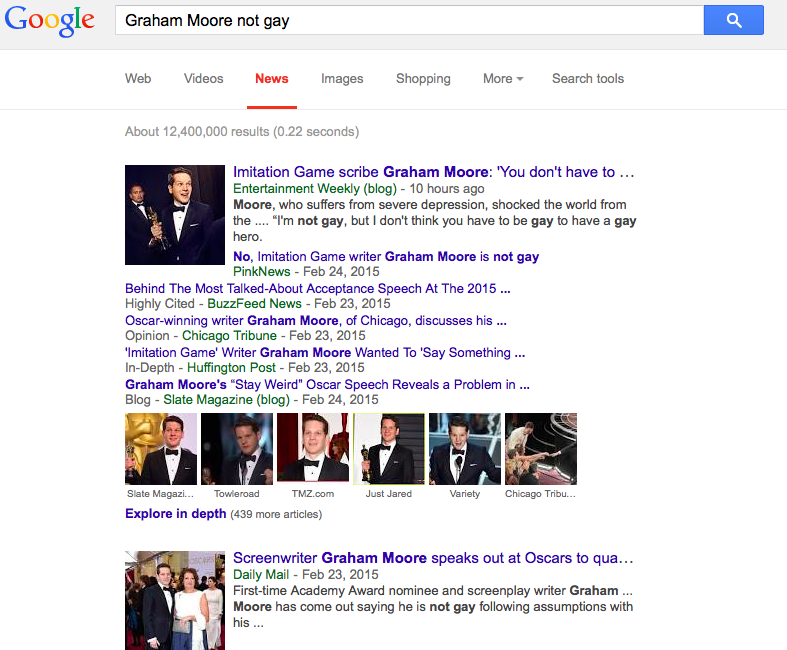 So, to recap: The Boston Globe never meant to imply that Graham Moore is gay. Even if it didn’t. This entry was posted on Thursday, February 26th, 2015 at 9:39 am and is filed under Uncategorized. You can follow any responses to this entry through the RSS 2.0 feed. You can leave a response, or trackback from your own site.